If you’re ready to create a Balanced Scorecard that supports your healthcare strategy, we’re here to help. 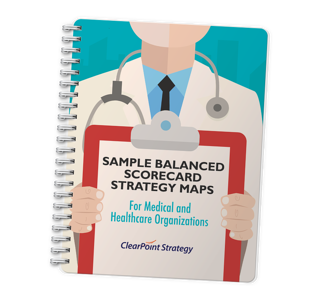 Four sample balanced scorecard strategy maps, from teaching hospitals to regional healthcare systems. How medical and healthcare organizations worldwide are experiencing success with strategy mapping. Download the sample medical and healthcare strategy maps and make one your own.